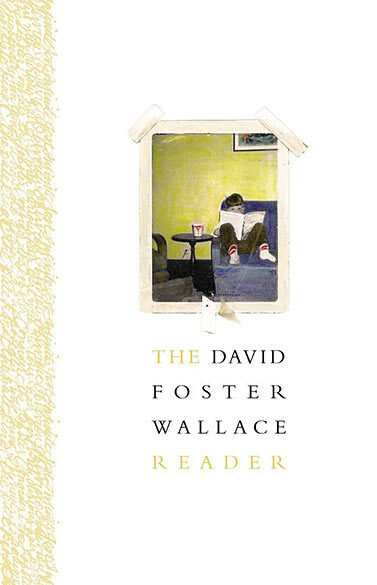 The David Foster Wallace Reader is a compilation from one of the most original writers of our age, featuring selections of his brilliant fiction and nonfiction. 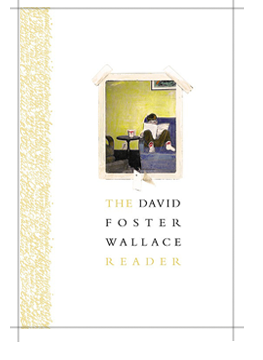 For new readers, this is an accessible introduction to the pleasures of reading Wallace; for fans, a must-have best-of; and for teachers, an invaluable tool. Astounding chapters from the novels The Broom of the System, Infinite Jest, and The Pale King are here, along with legendary stories including "The Depressed Person," "Good Old Neon," and his previously uncollected first story. This collection also features Wallace's essays delving into luxury ("A Supposedly Fun Thing I'll Never Do Again"), morality ("Consider the Lobster"), sports ("Roger Federer Both Flesh and Not"), literature, and the deep paradoxes of American life, plus reading lists from his life as a teacher. 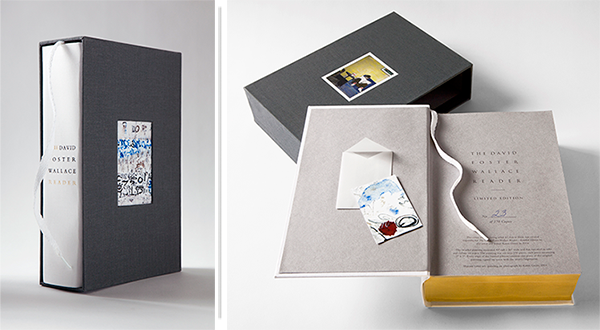 This deluxe edition of THE DAVID FOSTER WALLACE READER features original artwork by Karen Green. The cover art, a painting titled It’s Fun to Read, was created expressly for The David Foster Wallace Reader—Limited Edition by Karen Green in 2014. Each copy of the limited edition contains one piece of the original painting. David Foster Wallace wrote the novels Infinite Jest, The Broom of the System, and The Pale King, and the story collections Oblivion, Brief Interviews with Hideous Men, and Girl with Curious Hair. His nonfiction includes This Is Water, Consider the Lobster, Everything and More, A Supposedly Fun Thing I’ll Never Do Again, and (with Mark Costello) Signifying Rappers. He died in 2008. Karen Green is an artist and writer living in Northern California. Green’s most recent book, Bough Down, was awarded the 2013 Believer Poetry Award. She married David Foster Wallace in 2004 and is cotrustee of the David Foster Wallace Literary Trust. There are 250 copies of this limited edition for sale. The David Foster Wallace Literary Trust and Hachette Book Group, Inc., will donate their profits from the sale of this edition, or $50.00 of the $300.00 suggested retail price, to Casa Libre en la Solana, which will disburse 90 percent of that donation to Tucson Youth Poetry Slam, a nonprofit organization that advocates literacy, critical thinking, and youth voice through poetry competitions, workshops, and community showcases. The Literary Trust and Hachette will donate a maximum of $12,500 if all 250 copies are sold. The purchase price for a copy of this limited edition is not tax deductible.